While the mass media focuses on Russia 24/7, my readings point to evidence of London/EU, Israel, and Beijing China (with intermediaries such as Pakistan and others) are three among the most disruptive foreign influences in America. The Intel factions is a congested and dangerous choke-point. A very dangerous focal point for opposing factions is the 2018 U.S. ‘Midterm Elections’ – Trump’s E.O. appears to be a Big Warning! […] I, DONALD J. TRUMP, President of the United States of America, find that the ability of persons located, in whole or in substantial part, outside the United States to interfere in or undermine public confidence in United States elections, including through the unauthorized accessing of election and campaign infrastructure or the covert distribution of propaganda and disinformation, constitutes an unusual and extraordinary threat to the national security and foreign policy of the United States. Although there has been no evidence of a foreign power altering the outcome or vote tabulation in any United States election, foreign powers have historically sought to exploit America’s free and open political system. In recent years, the proliferation of digital devices and internet-based communications has created significant vulnerabilities and magnified the scope and intensity of the threat of foreign interference, as illustrated in the 2017 Intelligence Community Assessment. I hereby declare a national emergency to deal with this threat. The DNC’s 2016 Elections Server Hack Claim Was False! Both the DNC/Hillary Clinton and the DOJ/FBI/Intel claims the the Russians hacked the DNC servers are false. Compounding their conspiracy is the fact that the FBI refused to confiscate the DNC servers and control the evidence. Both factions embrace the IMS hegemony and oppose all opposition to the IMS as the system ‘Reset’ is implemented. 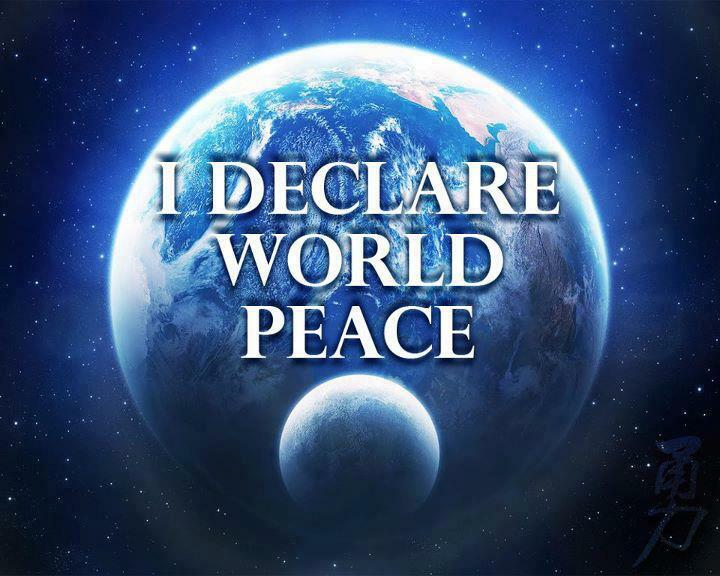 Too many discussions fail to offer options to the IMS, and there lies the real immediate danger to freedom. The NYTimes’ anonymous Op-Ed attempted to sow chaos in the White House, but they inadvertently strengthened the arguments that the Deep State cabal actually is established for the ruling class to thwart the will of the American People! The Deep State is the Corrupt Permanent State under foreign influence. A permanent fixture of highly paid bureaucrats taking orders from oligarchs that work for the old establishment to maintain institutional controls. We are talking about corrupt judges, prosecutors, deputy assistant department heads – officials who have been around for decades and know how to get things done or how to obstruct. Mueller’s Special Counsel Criminal Investigation Is ‘Built on a Sand of Corruption‘! What kind of criminal U.S. immunity and impunity are we witnessing? On Thursday night, after news of John Kerry’s Wednesday Hugh Hewitt Show radio interview in which he admitted meeting with Iranian Foreign Minister Javad Zarif “three or four times” since Donald Trump took office for unauthorized discussions touching on the Iran nuclear deal, President Trump slammed the “illegal meetings” as serving to “undercut” White House diplomatic dealings with Iran. Multiple conservative commentators said Kerry finally admitted to prior charges that he was conducting secretive talks behind Trump’s back aimed toward salvaging the 2015 nuclear deal. Later in the same day as the Hugh Hewitt Show admissions, former Secretary of State Kerry appeared on FOX and was interviewed by Dana Perino. “I think everybody in the world is sitting around talking about waiting out President Trump,” Kerry said to Perino. “You’ve got our allies, remarkably — the people that we’ve worked with the closest through the years — who are sitting there saying, ‘What’s next? '” Kerry added. Hillary’s Resistance Movement is well funded – Follow The Money. Anyone relying on the MSM for news and information is living in a fishbowl of mass deception. A state of war have been in ‘Full Force’ existence since the 9/11 terror false flag events in New York and Washington DC. There is tremendous legal pressure to oppose Trump’s ability to Declassify All Documents & Information Concerning Subversion Of U.S. Elections and Trump’s Policies. Rival Factions are engaged in obstructing justice, coups and counter-coups. A large criminal conspiracy within the U.S. apparatus & propaganda machine is on the offense. Did the Trump faction bite off more than it can chew? A Well Funded Major International Effort is Underway to Remove or Impeach President Trump! Oligarchical control over the U.S. apparatus and manipulating public opinion is real. The massively funded and coordinated information warfare effort whose objective is to control American voters and drive this U.S. President from office continues with the 24/7 TDS media campaign. “The transformation of “Russiagate” into “Spygate”, underscores that it was the United Kingdom, through its various intelligence units that “meddled” in the 2016 U.S. presidential elections. The mainstream U.S. media are attempting to cover-up for that operation, by reducing “Spygate” to a semantic debate over whether deploying operatives into the Trump campaign is “spying”, “infiltration,” a necessary defense against Russian aggression, or a figment of Trump’s “paranoia”. War campaigning continue from the establishment’s war hawks and military industrial complex – includes both major political parties. Again, I ask – Did the Trump faction bite off more than they can chew? Many researchers expect a false flag in Syria to escalate the war and control the U.S. apparatus. VA State Senator Richard Black reports on his just concluded 6-day tour of Syria, including his meeting with President Bashar al Assad. Did a Chinese-owned company operating in the Washington, D.C., area hacked Hillary Clinton’s private server throughout her term as secretary of state? Will the UK (British) allow the U.S. to exit Syria? ‹ Globalists’ Disruptive Strategy: Twitter Censored Center for Immigration Studies! 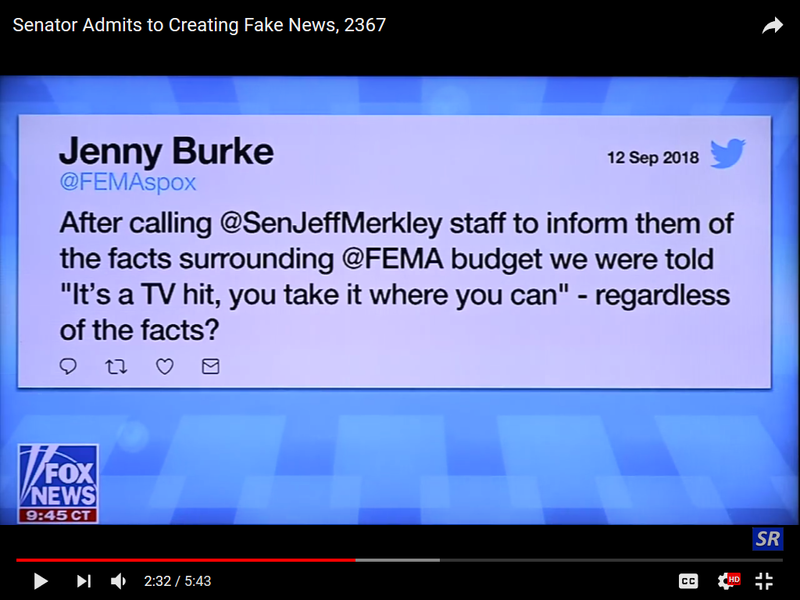 Senator Caught Making Fake News! Liars at MSNBC with Senator Jeff Merkley, a Democrat from Oregon, perpetrate mass deception on the viewing public. Trump’s Appointees Are Swamp Creatures! If you support Trump the best thing you can do is call and write the White House and remind Trump to keep his focus on draining the SWAMP from the Executive Branch. If Trump fails to drain the swamp of significant corruption then this opportunity may never come again and the Republic could fall under the massive weight of foreign and domestic enemies fomenting social unrest and disruptive policies. Let’s be clear, Trump made promises (jail for Hillary, etc.) and if he reveal that he is merely a rookie politician failing to deliver on campaign promises like the veteran politicians, then the Independent voters and never Hillary Democrats will not vote for republicans and Trump. The 2018 elections hold intrigue like no other U.S. midterm elections before. Americans want real change in government, this goes beyond soaring stock markets and jobs. Free speech and sovereignty are under assault.